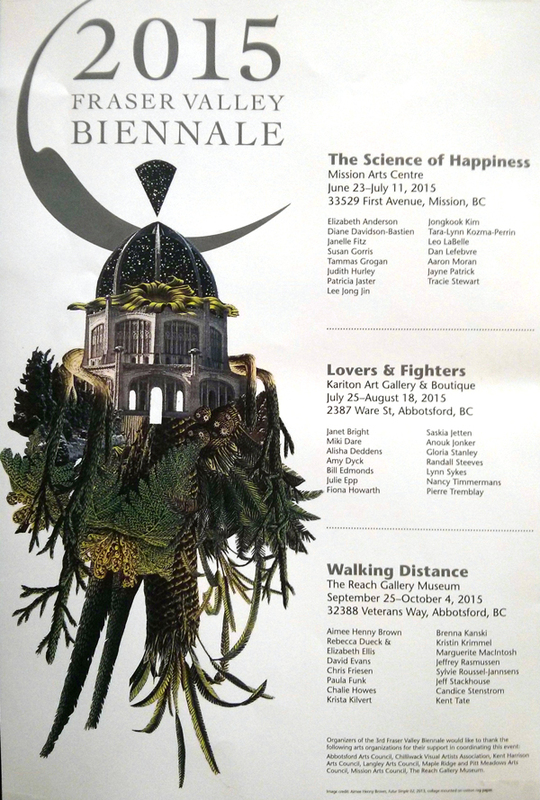 My art will be in the 2015 Fraser Valley Biennale. 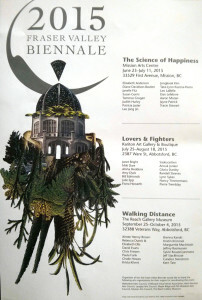 It’s a series of exhibitions that are coordinated through arts councils in the Fraser Valley region. The show is happening from now until September and you can enjoy a variety of innovative art in galleries ranging from Mission to Abbotsford. The art I have in this exhibition is part of a collection I’ve titled Geisha Girl Stereotype Survivor. The piece of cultural garbage I have included in this painting is an instant noodle lid that says, “Noodle Time” and “Instant Ramen Noodles.” I’m interested in the intersecting reality of fast-food garbage and how it coordinates so well with instant stereotypes. Eating fast food is unhealthy for us, yet it is part of the fabric of our society – just as stereotypes based on race, gender and class are. 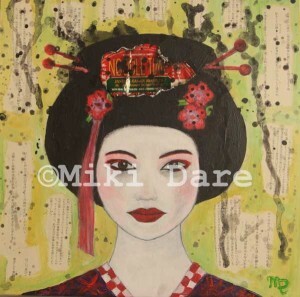 I say I am Japanese and images of geisha girls, sushi, and instant noodles swirl to the surface of our minds. Yet, I am yonsei. I am the fourth generation to live in Canada. My great-grandparents came here. Processed food and processed stereotypical images are constantly consumed in our culture. Consumed and thrown away – only to be consumed and thrown away the next day. What does that mean to the individual soul swimming through all this? So how do I find my place in this sea of mental and media garbage? Why I bite back with a smile. I paint, rip, splatter, glue and burn in layers of self expression.